The X-Amp 500 is temporarily out of stock. Order today and Phantom48 will normally ship in about 7-10 business days. 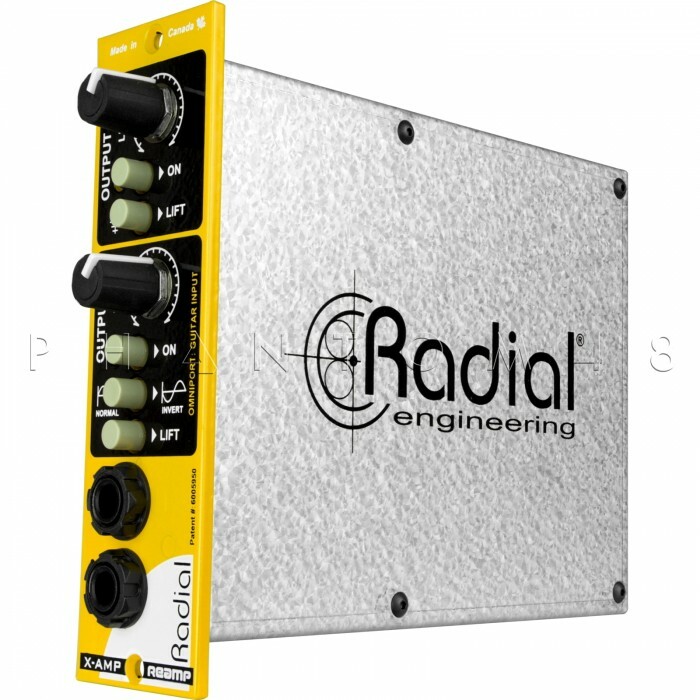 The Radial X-Amp™ is a 500 series module that lets you take a pre-recorded guitar track and send it back to amplifiers and effects so that you can tailor the sound to suit. 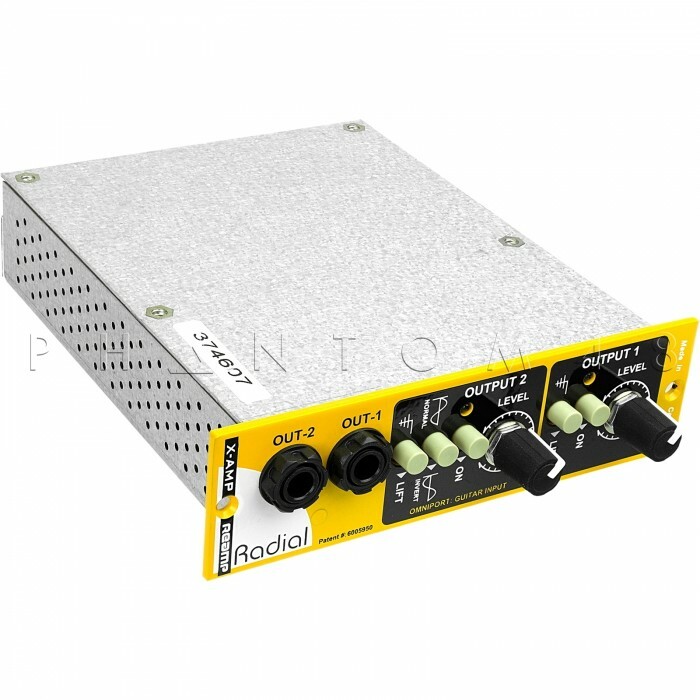 The advantages of Reamping™ are many: when recording, the guitarist need only concentrate on the performance. Working out specific sounds and optimal mic placement can be done later. This eliminates hours of tiresome repetition while allowing the producer to adjust the character of the track as the production evolves. Using the X-Amp is 'plug and play' easy to use. The design begins with an XLR balanced line level input located on the 500 series rear panel that feeds the X-Amp. To ensure the very highest fidelity, 100% discrete class-A circuitry is employed. 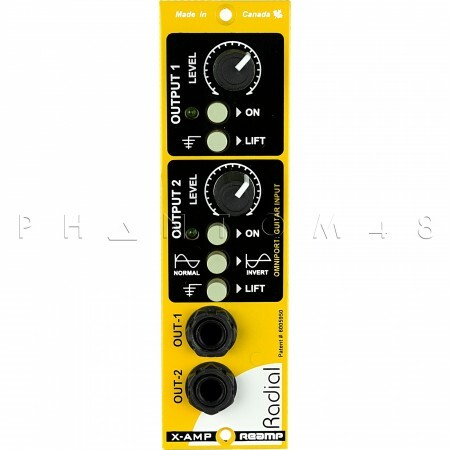 The X-Amp unbalances and buffers the pre-recorded signal where it then feeds two transformer isolated hi-Z guitar level outputs. The ¼" jacks are front mounted for desk-top convenience and equipped with ground lifts to help eliminate hum and buzz caused by ground loops. Independent level controls enable you to adjust the drive going to each amp for optimal tone. 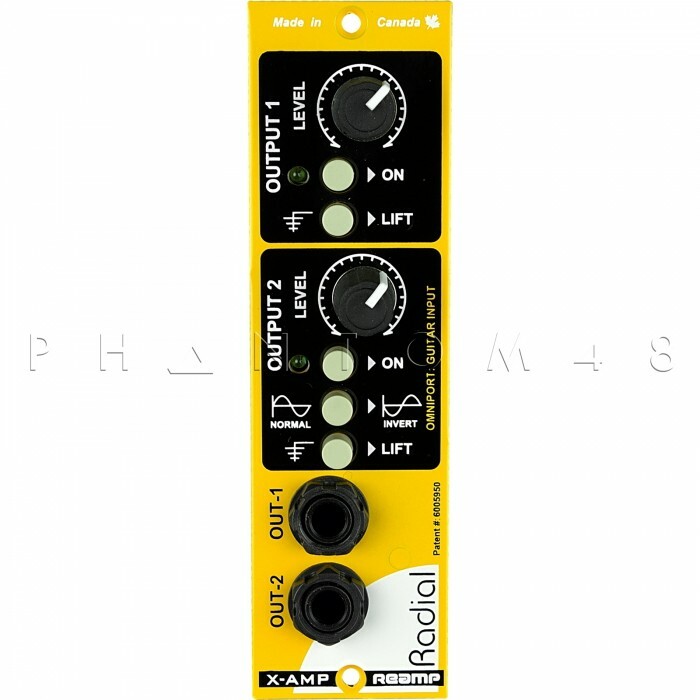 Should one of the amps be out of phase, depressing the 180º quickly brings both in line. The X-Amp Reamper™ works with guitars, basses, keyboards and even voice! You can send the signal through guitar effects pedals too. In fact the only thing holding you back is your imagination. 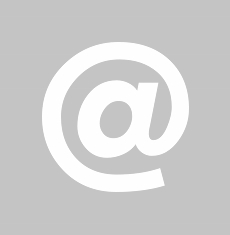 Omniport*: Instrument-level input, unbalanced ¼"